Discovery Home Inspection Services LLC. what your home is made of with Discovery Home Inspection Services LLC. About Discovery Home Inspection Services LLC. The purchase of a home or commerical building is one of the largest single investments you will ever make. You should know what to expect - in term of needed and possible repairs and maintenance. A fresh coat of paint could be hiding serious problems. Stains on the ceiling may indicate a chronic roof leak or may be simply the result of a single incident. The inspector reviews these and other clues, then presents a professional opinion as to the condition of the property to help you avoid unpleasant surprises afterward. Of course, an inspection may also point out the positive aspects of a building, as well as the type of maintenance needed to keep it in proper shape. After the inspection, you will have a much clearer understanding of the property and be able to make your purchasing decision confidently. Enjoy the comfort of peace-of-mind before buying your new home. 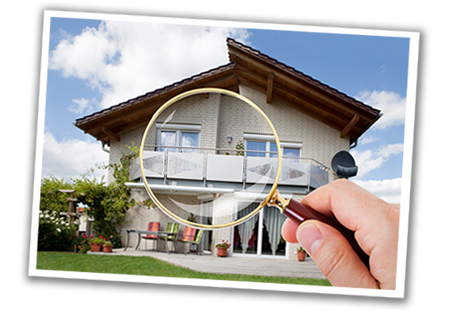 Our trained professionals inspect the property and immediately present you with a detailed, yet clear report. They will answer any questions you may have. Join our experienced inspectors in their tour of the property. They will acquaint you with its strengths and weaknesses. You will feel confident in their judgement and thoroughness. Many Realtors, sellers, and home buyers, mortgage companies and relocation companies have used our comprehensive report and services to their satisfaction. An electronic report of your home inspection is also included. Termites, pests or other wood destroying organisms and related damage. Asbestos, mold, fungi, bio-organic growth, radon, formaldehyde, lead, water or air quality, electromagnetic radiation or any other environmental hazards. Building value appraisal or repair cost estimates and/or methods. Pools or spas bodies and underground piping. Water softener / purifier systems or solar heating systems. If you were to call many different Home Inspection companies for a price quote in the Low Country, Southern Georgia area, you will probably get many different answers. It's simple... there are many factors to take into consideration when you are interviewing your Low Country, Southern Georgia Home Inspector. While the lowest price tends to be what most home buyers are looking for, it may not be the best deal. At Discovery, our consulting fees are based on the type and size of home. Keep in mind, there are many factors that will affect the price in the home inspection, like carriage houses, Radon testing, etc. 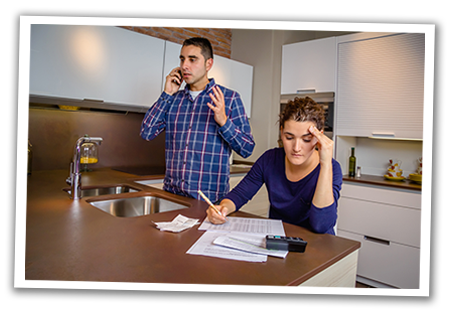 Unless the exact same level of services are being offered, the lowest price quote should not be the deciding factor when comparing home inspection companies. Your choice of home inspector should not be based on a difference of only a few dollars, especially when you are considering a major purchase like a house. We're sure that the property you are purchasing was based on the best value and quality for your money and not just because it was the cheapest place you could find. Your home inspection should be thought of in the same way. Contact Kenny Dyer at 912-596-6550 or use our online form to set up your appointment today. Contact Discovery Home Inspection Services LLC. Call 912-596-6550 or use our online form to set up your appointment today. Copyright © 2019 • Discovery Home Inspection Services, Inc. • All rights reserved. Need an appointment or a quote? Have any questions, comments, or concerns? Please fill out the information below and we will get back to you as soon as possible! Enter the word from the image below before clicking "Submit." If you need faster assistance, please call Kenny Dyer at 912-596-6550.